If you want more from your holiday than sitting on the beach or by the pool, there are lots of places to visit in the Málaga area to interest the whole family. Below is a selection of the attractions available in the area, in order of approximate distance from Nerja, starting with the closest. 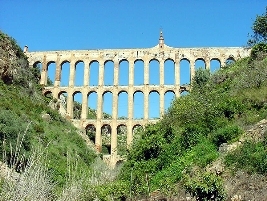 A beautiful piece of 19th century engineering work, this aqueduct was built to transport water from a spring in Maro to the San Joaquín de Maro sugar factory. 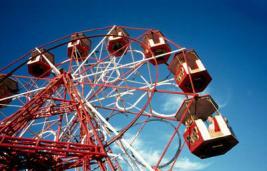 It can easily be seen from the N-340 from Nerja to Maro, before arriving at the autovía, close to the Nerja caves. Stopping to view it and photograph it is more difficult, as this involves going down a track off the main road to find a safe viewpoint. These caves are some of the best in Europe and are the third most visited attraction in the whole of Spain - and they are only a few kilometres from the centre of Nerja. Take the main road (N340) towards Maro and the caves are signposted from there. The caves were discovered in 1959 by some boys chasing bats who discovered the entrance to a huge system of limestone caverns. The caves are protected and have been well preserved with many parts still closed to the public, including areas with prehistoric paintings of animals &humans figures. It is estimated that the caves were inhabited between 20,000 BC and 1,800 BC. 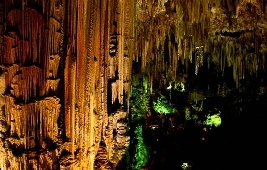 During the last two weeks of July, there is a festival of music and dance held inside the caves. Open all year except January 1st and May 15th, the caves close at ‘siesta time’, except during July and August. Please check their website for opening hours and times of guided visits. The entrance fee is 9€ for adults (13+) and 5€ for children aged 6-12 (under 6s go free). Tickets can be bought online in advance or on arrival. Allow around 45 minutes for the visit. We hope that this guide will help you get the most from your stay in Nerja. We don't have first-hand experience of all these places, so if you visit any of them, please let us know what you think and whether you recommend them to others. Disclaimer: While every care has been taken in the compilation of this information, The Away Company will not be held responsible for any loss, damage, or inconvenience whatsoever caused as a result of any inaccuracy or error within this website.